This week co-hosts Armand Rosamilia and Chuck Buda, of Mando Method Podcast fame, talk about building a career and the pitfalls of thinking too hard on it. 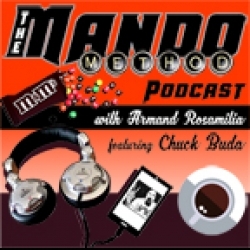 Since The Mando Method Podcast co-hosts Armand Rosamilia and Chuck Buda are humble and respectful (not to mention damn good-looking!) they bring on a special guest for a special segment about anthology editing this week. Another exciting Chuck's Mailbag episode! 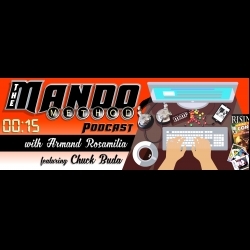 The Mando Method Podcast co-hosts Armand Rosamilia and Chuck Buda dive deep into some listener questions and (hopefully) answer their questions so it makes sense.